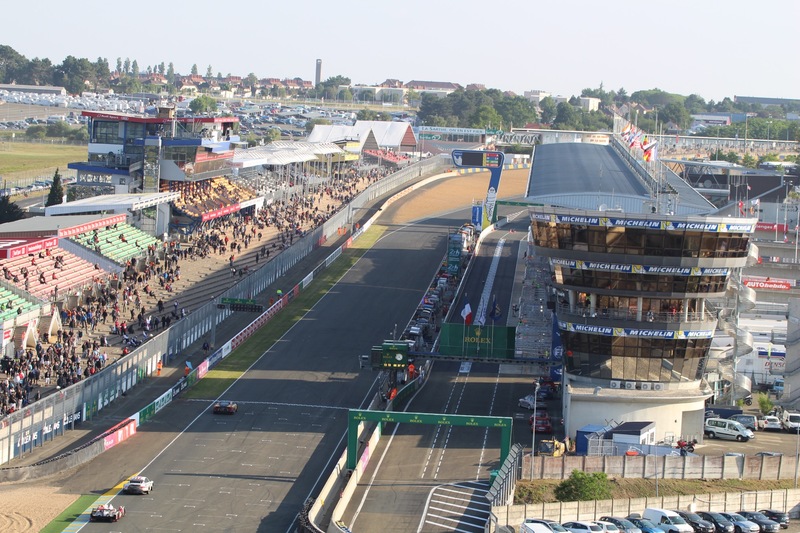 For some, Le Mans is a once-in-a-lifetime experience, for others, it’s an annual pilgrimage to the holy-land of speed, whatever your motive, it is an experience that will stay with you for the rest of your life. For me, it always starts the same way, waking up at a ludicrous hour to black coffee and an even blacker sky. My friend Aleks and I drive to Victoria Station to board the coach that will take us to Dover, across the channel and into Le Mans. 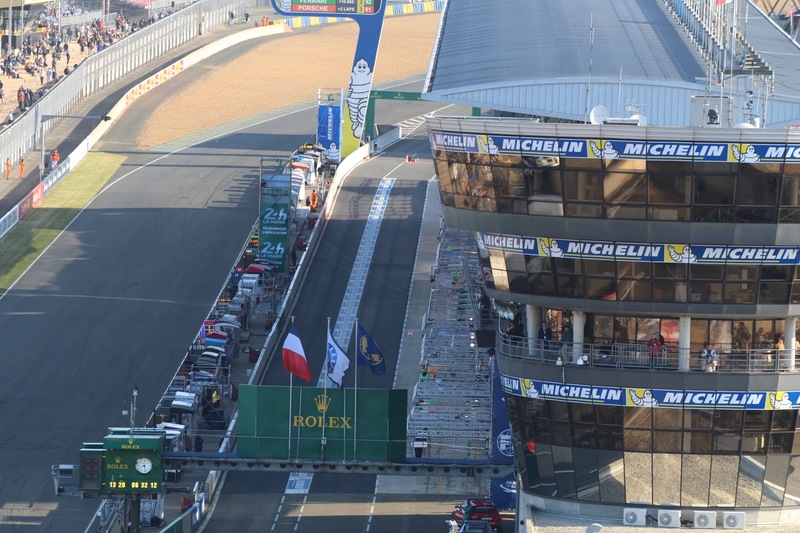 After a few hours’ sleep and a breakfast of coffee and croissants we head to the track for the pit walk…and there they are…the machines that are the focus of this little excursion. The wonderful, shiny, smooth race cars, immaculate in the early morning sun. Aleks likes to linger, and capture them from every conceivable angle with his camera. I prefer to take a walk up Dunlop Curve towards Dunlop Bridge, trying to imagine what must be going through the drivers’ minds as they hurtle towards that most iconic of track-features. Later that day, we get our first look at the cars in action. Qualifying. The whoosh of the hybrids, the angry, V8-gargle of the Corvettes, the noise resonates in your chest. I can’t help but grin, from ear-to-ear, like a lunatic. It’s beyond joy, it’s a heightened state of the senses, whether you’re stood at Arnage Corner, or up in the stands above the pits, you can smell the spent fuel, cooked brake-discs and tortured rubber. 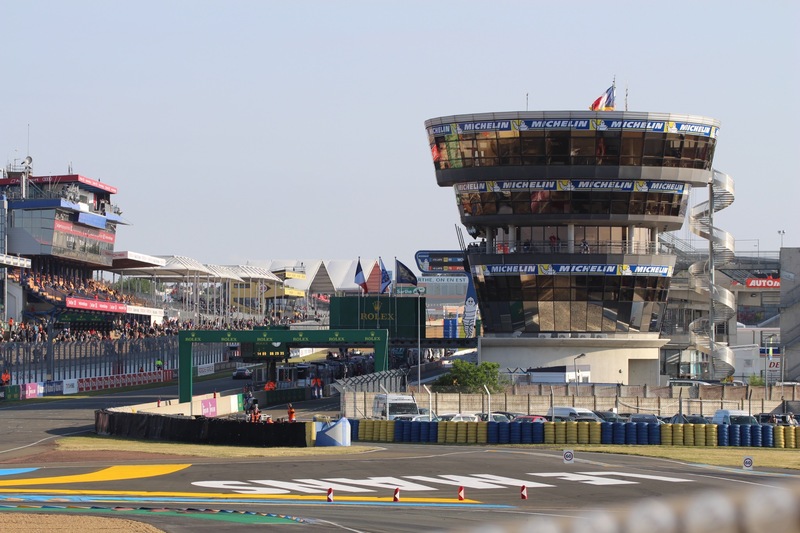 The following day is the driver’s parade, in the beautiful Le Mans town centre, in the imposing shadow of Le Cathédrale St-Julien du Mans. There are plenty of places to take up position and see legendary racers like Anthony Davidson, Andre Lotterer & Mark Webber. If the sun gets too much for you, there are alleyways and side-streets serving incredible local food and cold beer. There are racing enthusiasts from all over the world, talking about the race, how far they’ve travelled, and who they are most eager to see. It’s a friendly atmosphere to say the least, a fraternity united in speed and noise (and sleep deprivation). Saturday arrives all too quick, you may have waited a year, or possibly your entire life for the race-start, but suddenly it’s upon you. The wailing, roaring engines, the acceleration, the jockeying for position, around 50 cars roaring off the start like angry hornets whose hive has just been shaken. 24 hours of racing has begun, and now your options are vast. Do you stake claim on the grass at the Mulsanne straight? Or standing at the rail at Porsche Curves? Personally, I like to hit as many different locations as possible, to really appreciate the straight-line speed, the ferocious braking, the unbelievable, physics-defying cornering ability. 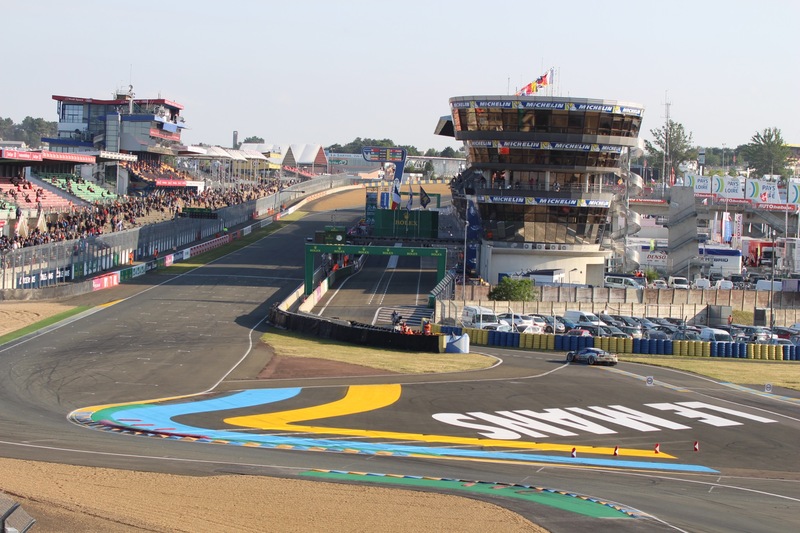 Of course, this is an endurance event, not just for the driver, but for the spectator too, and after a few hours of watching the race, with a tiny radio glued to your ear, it’s good to stretch your legs and see what the circuit has to offer. There is an abundance of places to eat and drink, endless merchandise stands and the fairground rides. One year I was lucky enough to be hoisted up a crane, strapped into the Nissan Sky-Bar, all it took was for me to produce the tatty-key of a ’99 Nissan 200SX, of course if you don’t own a Nissan, there’s always the Ferris Wheel to offer incredible views from Ford Chicane all the way down to Dunlop Curves. As night falls, some leave the track to get a few hours sleep, some push through to watch the glowing brake-discs, and to see which teams have the stamina and resilience to make it through the race. This is an incredible time, a time where in regular life, you would expect quiet and tranquility, but not here, here the teams battle-on to overcome fatigue and reliability issues. The night sees the majority of retirements and come the morning the field has been significantly reduced. In the morning, bleary eyed a little giddy from the lack of sleep, you have an idea of who is in contention. Who has clocked up the most laps and who is looking strong, but even still, there are hours to go, and it only takes a split-second error in judgement in a corner or a pit-stop for all of this effort to be in vain. More than likely, you’ll see Audi & Porsche in strong positions, after all, as I write this Audi have 13 wins under there belt, but nothing is guaranteed, there are no foregone conclusions. As the seconds wind-down, many start to take up position at the gates, ready to rush to the track and get near the winners podium. When the gates are finally opened and you run up the track, you will see underfoot the terrible toll this race has taken on the vehicles. Shards of carbon fibre and tyre-fragments or ‘marbles’ litter the ground. When the winners take the podium and the champagne is sprayed, the cheers from the crowd rival the engine noise from the 24 hours before. It’s a wonderful atmosphere, a tremendous amount of energy from thousands of people that have had little sleep and more than likely walked several miles in the course of the race.